edit: There's an amazing gentleman who brought this sword to life fav.me/d5lk7k0 . He even sent me a copy. Big thanks to ~Soynuts! What was challenging about making this swords it's the decoration on curve surface, but 3d modeling it's pretty fun. 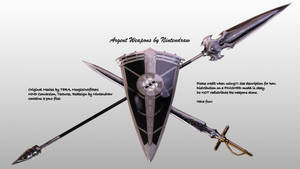 I would love to be able to 3D print this, but I don't have access to Cinema 4D. Would there be any chance of having it exported as an OBJ file? would you be willing to do a commission for this? damn, this is just what i need, but i dont have the right program to view it. i am trying to make this sword out of metal, but i cant find anything about the dimensions of the sword, all i can find is the length and weight, would it be possible for you to give me some rough dimensions of this? please? I want to print this with a 3D printer, but how do I convert the file? Thank you very much for noticing me, I appreciate it. Here you go, the reupload: sta.sh/01ga5xu38lxm . Who would stop you from creating creative content? xD Have fun and have a nice day. Thank you very much, and have a nice day, too! awesome stuff... is this already made to scale...? like life-size scale...? Haha, I'm sure you do. I have searched and searched. 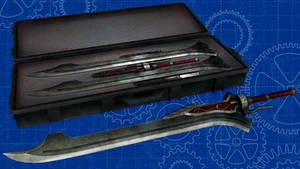 One person did in fact make the Elucidator, and some other weapons based on that sword's design, but no one (that I've found) has made this one yet. It's be nice to have a good set of weapons in Skyrim from this series of novels. BUT aside from the game talk I would like to say that you did an excellent job on the Lambent Light! It almost looks like it could be a real photo! So good job to you on this one! and keep it up! I would want that also, if I could run Skyrim better on my laptop. Works like these never go to waste, or at least I do not see any reason for them to at all!! I hope you keep up the great work! Any chance you have an area to upload this image to? 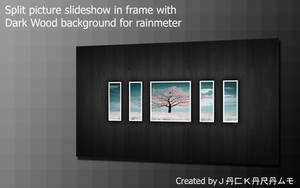 If it is a 3D image file? I'm trying to replicate it and need a good reference. I'm not sure what you exactly mean? I can take shots of different angles? XD thanks, you work made things easier. what 3d software you use for this.. solidworks?? 3DS Max? catia?? awesome! can I use this as a reference for making the sword? Thanks! it looks real because when rendering it with max setting, it would look very very real..
Hey mind if I use this for a Skyrim mod? You will be credited of course! It's in .c4d , I don't know how to convert it and it's not very professional. Now, let's find you a 3D printer, shall we? *sigh* we'll have to wait for the future... Again! !